We are excited to be able to provide financial assistance for our 2019 season! Please read all information below for complete details. 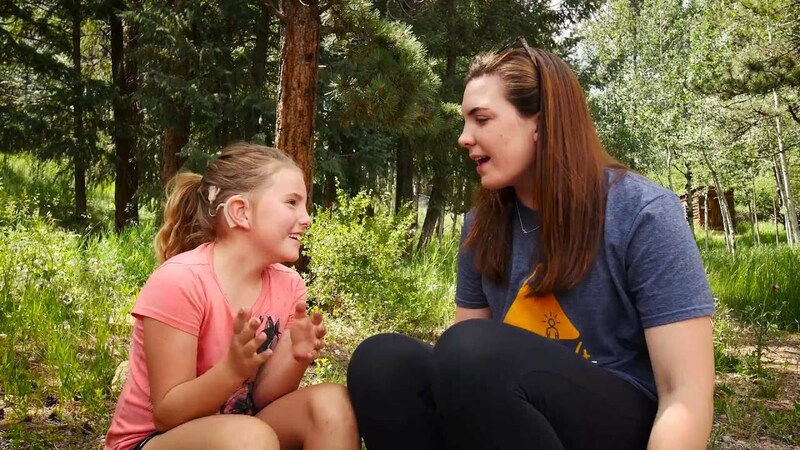 Avid4 Adventure empowers more kids to choose active, outdoor lifestyles by offering summer camp financial assistance for low and middle income families. Every year, we have been pleased to offer increasingly more financial assistance through both partial and full assistance packages. Add an amount to your next camp registration. Visit the American Camp Association website and enter “Avid4 Adventure” as the camp you are donating to. Send a check to: ACA- Avid4 Adventure Campership Fund, P.O. Box 287, Boulder, CO 80306. In 2016, we were fortunate to have an incredible camper join us at our overnight camp. Olive is truly one of those special people in which will remain in our hearts and has touched each and every one of our staff. She shares her experience at Avid4 Adventure in the video above. If your family’s household income is less than $100,000, you are eligible to apply for financial assistance for Avid4 Adventure day camps and overnight camp. Please note that awards may be available at a higher income level, however priority is given to families with incomes below $100,000. Proof of previous year’s annual income in the form of a tax return and/or current pay stubs must be provided if requested by Avid4 Adventure. Overnight Camp scholarship applications are now closed. We are able to provide financial assistance amounting to 25% – 100% of your camp tuition. The assistance awarded is dependent on our scoring criteria detailed below. If selected, you will be awarded a specific session date and camp. Unfortunately, not all camps and session dates will have space available for financial assistance recipients, so we request that applicants maintain flexibility. Please do not register for camp before receiving an award notice because we are unable to retroactively apply scholarship awards. Application must be completely filled out to be considered. A separate online application must be completed per child. Complete the application when your child is around, as we will ask you to seek a response from him or her. PLEASE do not call about the status of your application. We will contact you directly for any missing information and/or to let you know when award decisions have been made. Financial assistance may not be applied to previously purchased camp sessions- all paid sessions are considered final and subject to our cancellation policy. Diversity-These scholarships are intended to broaden the diversity of life experiences of campers participating in Avid4 Adventure. Economic Need-We consider family size, income, and/or extenuating circumstances when making awards. Motivation– A written statement from campers and their parents helps us assess motivation during our review process. Funding– Awards will be made based on the availability of scholarship funds.